Something along the same lines of my blog "It Was All Just a Theory", I want to build up a list of stuff that hasn't happened yet, but that Science will make happen. If religionists can't appreciate all that science has learned and found to be true and presented to humanity--such as all the medicine and technology that has increased our health and lifespan and provided for our daily needs and comfort--perhaps they will appreciate science prophecy, more? Science has such an incredible track record, we just take it for granted now that there is a lot more of its success to come. So what is science unable to do right now, but is going to do, probably within our lifetimes? I would also invite religionists to dispute these powers of science, and maybe even show us in the bible (or other religious dogma) which prophesies will override ours. See, we're talking about real miracles coming, folks, like helping the blind to see, cripples to walk, and sustenance for the starving. Bring it on! For the past six years, Australian researchers have had just one week every year to chase the stuff of science fiction dreams. They're working towards something incredible, the ability to bring species back to life long after they've disappeared from the earth - de-extinction. 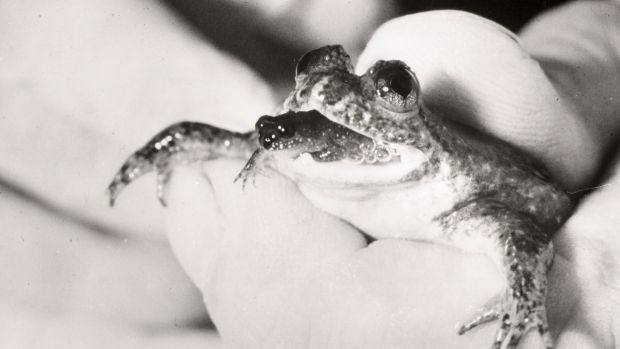 For now scientists from The Lazarus Project - named for the biblical Lazarus of Bethany brought back to life by Jesus and not the decidedly average 2008 Paul Walker movie - are trying to restore Australia's southern gastric-brooding frog. Are you perhaps confusing science with technology, @Pope? Even the most rabid of biblical fundamentalists have no philosophical objection to technology, innovation, and invention. In fact, it's "proof" that Genesis was right, and that mankind was given dominion over all of Creation. Besides, scientific or technological predictions often have a terrible record even in the medium-term. Even the most rabid of biblical fundamentalists have no philosophical objection to technology, innovation, and invention…. ….except that is for the numerous cults of rabid biblical fundamentalists who refuse to use any science based medicines and will even refuse technologies that transfuse blood that could save their lives or those of their children. That word "often"... what does it mean, compared to how often science gets it right? In fact the examples in your link are enlightening, since science is getting them right, and dare I say "most" of them [your examples]. Not to mention, how can one even compare over 2k years of religious scripture vs 200 years of scientific theory and self-correction? Or at least the year 1899 in one of your examples. It's even cool that we can look at science's past, and have a chuckle at our errors and fixes, unlike religion's past (unless perhaps for morgue humor). Here are 10 more for the record. Can't stop... I'm too wound up. "We're at the point now where we can treat many more patients, we can see the breadth of this expanding and to me, that's the exciting part." After the overhyped false dawn fifteen years ago, gene-editing is now, it seems, about to arrive.